The Wall Street protests must grow and spread across this country because they are the only realistic hope for change remaining for the 99% of Americans falling behind in this broken economy. Sad to say, but democracy in the land of the free and home of the brave no longer works. Traditional methods of political action: petitions, letter-writing and phone campaigns, and especially voting-- have proven futile pitted against the real driver of change in America: the power of big money and greed. Case in point: Americans voted for the supposed party of the working class in 2008, but the beneficiary continues to be the same corporatocracy and super-rich that flourished during the previous administration. Big corporations and the wealthy have hijacked the political system for decades now with their hefty donations to political campaigns. Their contributions guarantee that bought-off politicians pass laws and tax breaks to their benefit. It is no secret, everyone is aware of how the system works, and it must be called for what it is: legalized bribery. Still, there were at least some rules and limits to the blatant selling of votes for campaign cash. Until last year. The 2010 Citizens United decision by the Supreme Court opened up the floodgates of corporate bribery. The right-wing Court, by a 5-4 vote, ruled that since corporations are considered people, and money is considered free speech, then corporations and other wealthy special interests are now free to spend unlimited amounts of money to elect whichever politicians they want to do their bidding. The traditional democratic principle of "one man, one vote" is as relevant today as brass bands and Labor Day campaign speeches in the park. With traditional democratic political methods useless, what recourse do ordinary Americans have left ? We are now witnessing the only real avenue left: ordinary citizens taking to the streets and demanding change to the rigged economic system that leaves 99% of them behind. It is only a start, but a vital one. Every day more people are awakening to the stark realization that the political and economic system in this country is stacked against them and getting worse. 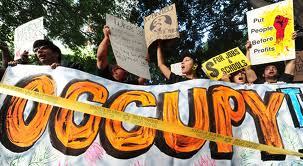 Capitalism failed in 2008, only to be revived by trillions of dollars of government bailouts. Jobs are disappearing overseas, wages are declining. social safety nets are being slashed, and families all over America are losing their homes along with their hopes and dreams. At the same time, the crooks who brought us the 2007-2008 economic meltdown escaped punishment, resumed their too-big-to-fail financial skulduggery, while expanding their excessive salaries, tax breaks, and bonuses. During the Vietnam era, because they were directly affected, young people took to the streets to protest the war. America's young males were subject to a draft and the prospect of being shipped off to die in a war they didn't believe in. The war planners wised up and did away with the draft. America now has perpetual wars for oil, using a "volunteer" military, many of whom have enlisted due to lack of other opportunities. Seemingly unaffected by post-Vietnam wars, students and other young people have been politically inactive since the early 1970s. But perhaps not any longer. Young people are finding few jobs awaiting them when they get out of college (those fortunate enough to afford the high tuitions). They graduate with no income coming in, but years of student loan debt to pay back. Those without a college or high school degree are even worse off. All of them see the sad reality, that the American Dream is only for the privileged few. If these demonstrations and protests continue to grow and expand, both here and abroad, the big banks, oil companies, billionaires and politicians will have to pay attention and give some ground. Either that, or face the prospect of violent revolution. How all this will play out is uncertain. The road to reversing several decades of unfair and corrupt politics and excessive greed promises to be a rocky and difficult one. Things could get a lot worse before (and if) they get better. But a revolution, preferably a bloodless one, is necessary to restore democracy and economic fairness in America and around the world. With traditional methods of political change proving useless, mass protests are the only realistic strategy left. Those in control must recognize that anxious Americans are feeling what Howard Beale yelled out, "We're as mad as hell, and we're not going to take this anymore." Which is why the the Wall Street occupiers and their brethren across the country (and the world) cannot quit, why they must continue to grow and expand to a point that the powers-that-be realize they must give the rest of their fellow Americans a seat at the decison-making table and at least some semblance of democracy and economic fairness. The occupiers and protestors cannot quit. If the protests wither and die, so will what is left of America's hopes and dreams. 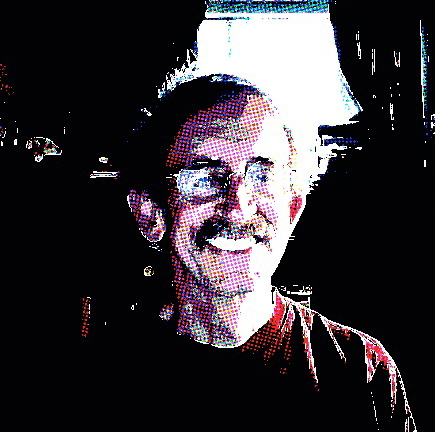 Arlen is a writer/blogger living in Monterey, CA. His political blog is thebigpicturereport.com. He also writes a quotation quiz "What's Your QQ?" at quotationquotient.com. "No War By Any Nation in Any Age Has Ever Been Declared By the People"
Which America Do You Live In: Newsweek's "SuperCountry" or Reich's Stalled "Tinder-Box"? Syria Used Chemical Weapons--Are You Sure?